The Body Actualized Center on Troutman Street has tranformed since you may or may not have visited pre-March-2012. At the time, the Yoga Studio/Events space had a undercooked DIY feel that was memorable and funky feeling, but overall felt kind of cold. The space certainly felt hip, but wasn't the cozy nook it tried to be with half-hearted plants and decoration due to the cement walls and floor and dark interior with no natural light. But, oh, how the times have changed! 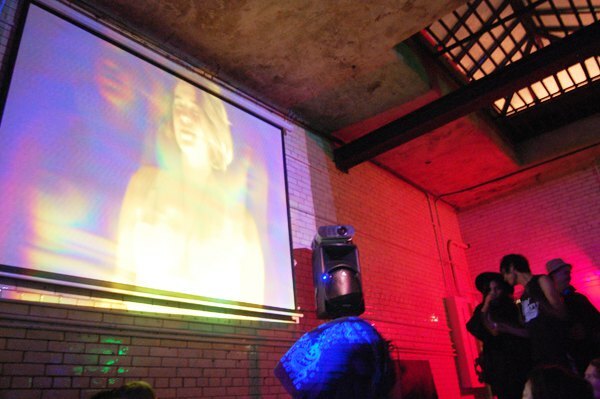 The Body Actualized center re-opened last Saturday with a trippy rager sampling everything Bushwick needs and wants on a regular basis, in a permanent space. The festivities featured body painting, cosmic yoga demonstrations, live bands and DJs, a bonfire, and some super special chocolate treats (wink, wink). The space has also tranformed- beautiful wooden floors and a tiki-hut style entryway were hand built by volunteers, founders, and friends of the space. A storefront with huge windows now overlooks the street, and if you came between 8 and 10, you probably saw the intensely-painted man chunky black-and-white swirls enveloping his flesh. 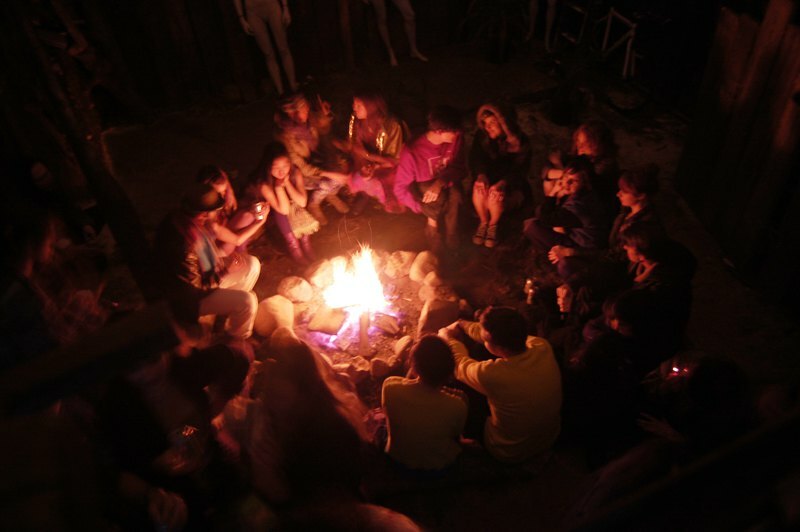 The best part of The Body Actualized Center's makeover is a complete overhaul of the outdoor space, centered on a close-knit firepit and log-seating for about twenty people. There's also a double decker roof overlooking the backyard on one end and Troutman street on the other. Oh, it was a beautiful feeling to peer down onto the bonfire, dangling my legs from the low-hanging roof, the softly-misting rain slowly sinking onto the wood around me. The music, the conversation, the firey aroma and the BYOB beer- Body Actualized Center provides the BEST vibes ever. Now that the center has gained some recognition- the party was POPPIN' and a New York Times reporter was present- their presence is sure to expand in Bushwick. 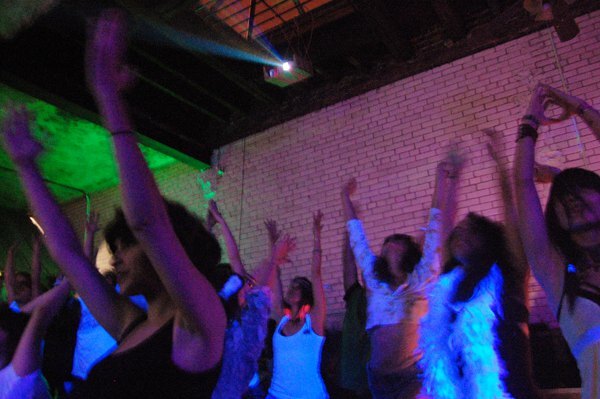 Yoga classes begin on April 2nd and the space will continue to host (at least!) monthly parties and other events celebrating their wackiness. For more information, check out their website and like 'em on facebook.